The inalienable rights of the American people are some of the most valuable merits the United States has to offer. 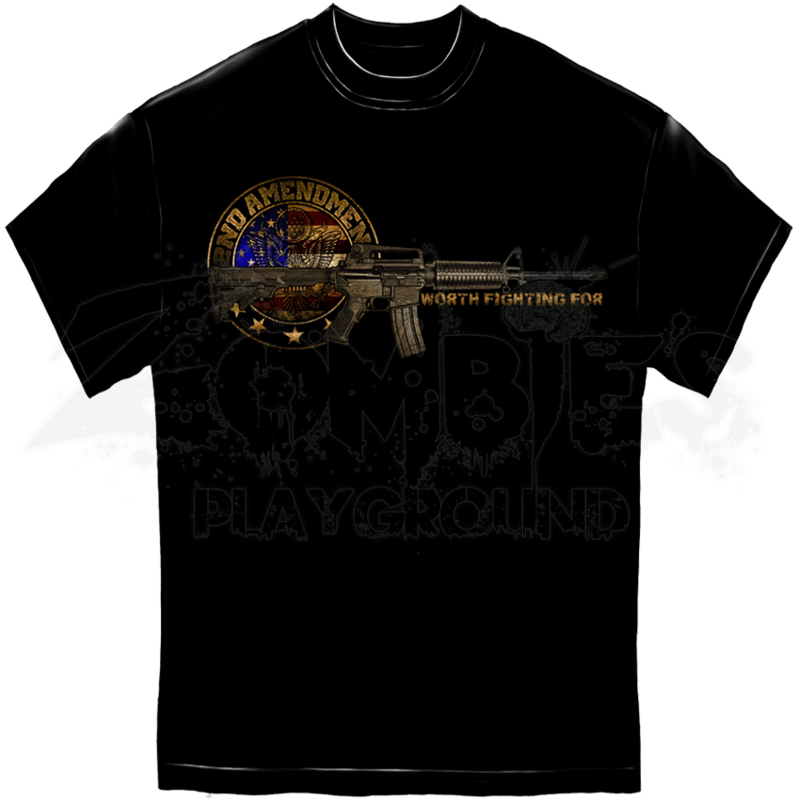 The Worth Fighting For T-Shirt proudly declares this with its stylish Second Amendment seal and modern gun graphics. 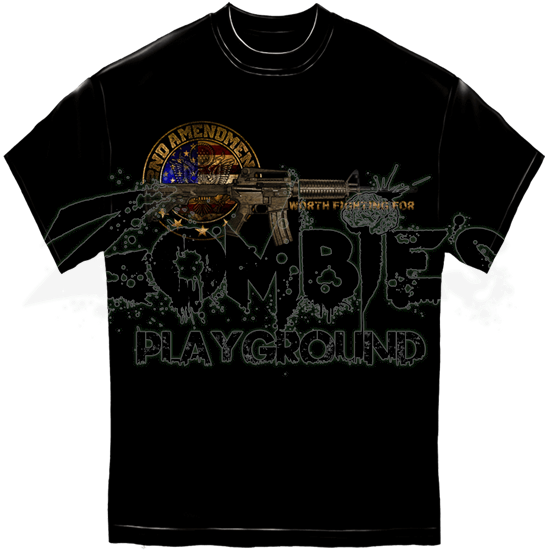 Distressed for a vintage look, the graphics on both the front and back feature a red, blue, and gold seal and a metallic colored modern gun. Under the gun are the words WORHT FIGHTING FOR, proclaiming pride in this constitutional right. A great gift for any loved one passionate about this important amendment, add this black, 100 percent pre-shrunk cotton shirt to your wardrobe for a stylish way to show your patriotism.